Attending this year’s 2013 CES helped me conclude that there is hope for my house and my exercise routine to become even more efficient and enjoyable. In the past, companies would showcase their products with a general message of “here’s this new high tech thingy”. This year the messages focused more on value, communicating “here is how you can simplify your life by using this new technology”. I have been waiting to hear the word simplify for years. If new tech adds any additional steps to my daily routine, then it does not fit into my busy life as a mom. But if it helps streamline and automate any of the processes I do each day – then that is technology I will embrace in a heartbeat. 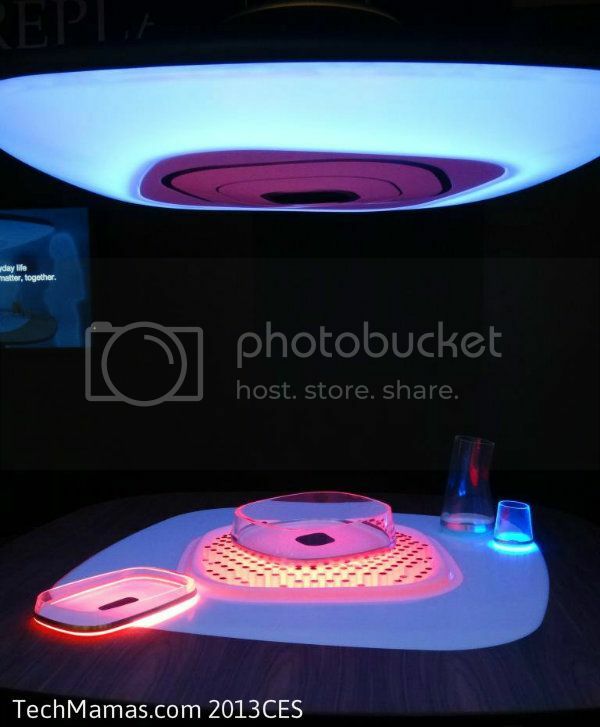 I will be covering my picks for CES 2013 top trends over the next few weeks. 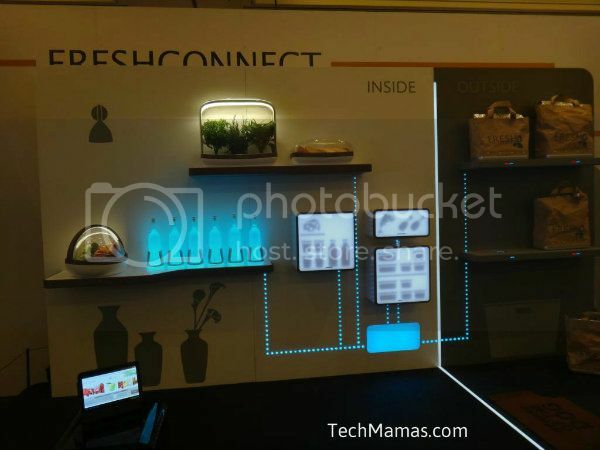 Here are some of the top tech trends from CES that will simplify (and automate) the life of any mom. 1. Mobile Health Tech: Fitbit, Fitbug, iBitz and Withings (to name a few) offer activity, sleep, medical and weight management information automation as well as environmental feedback (i.e. The Withings scale also measures indoor air quality). 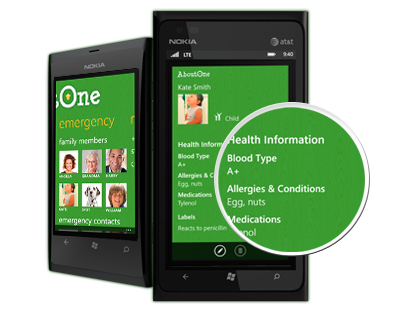 Utilizing mobile health tech will help me get the information I need for weight and health management from mobile devices so I can just incorporate it into my day. 2. Home Monitoring (from your smartphone! 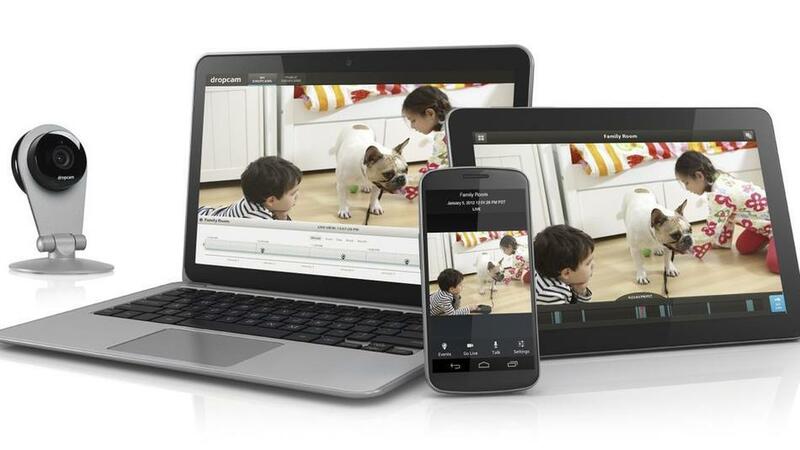 ): Dropcam is a HD Wi-Fi monitoring video camera that not only remotely captures and monitors activities in a whole room, but also can send alerts for movement or loud noises. 3. 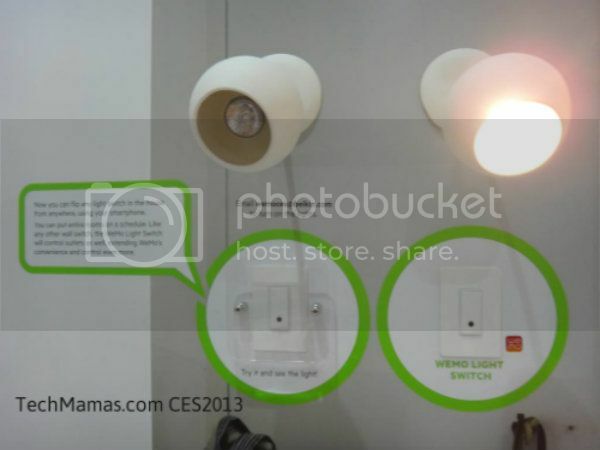 Mobile Home Lighting Control: The Belkin WeMo line has a new internet connected Light Switch that remotely controls household lighting from the internet via a WiFi router and an iOS device (v5 or higher). Android 4.0 device (or higher) compatibility will be enabled “shortly after launch”. 4. 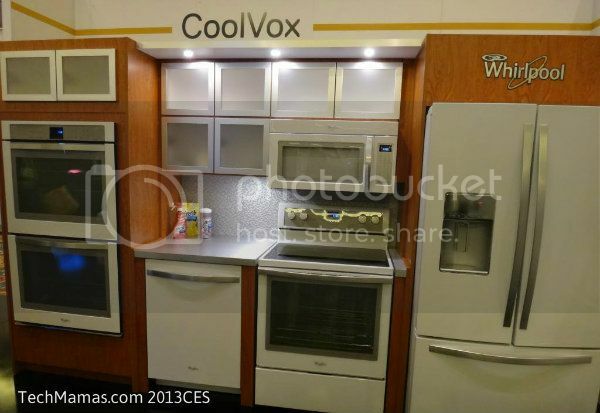 Streamlined and Connected Kitchen: Smart Appliances were a top trend at CES 2013. At the Whirlpool booth I saw kitchen concepts that could help me automate some of my key daily challenges. 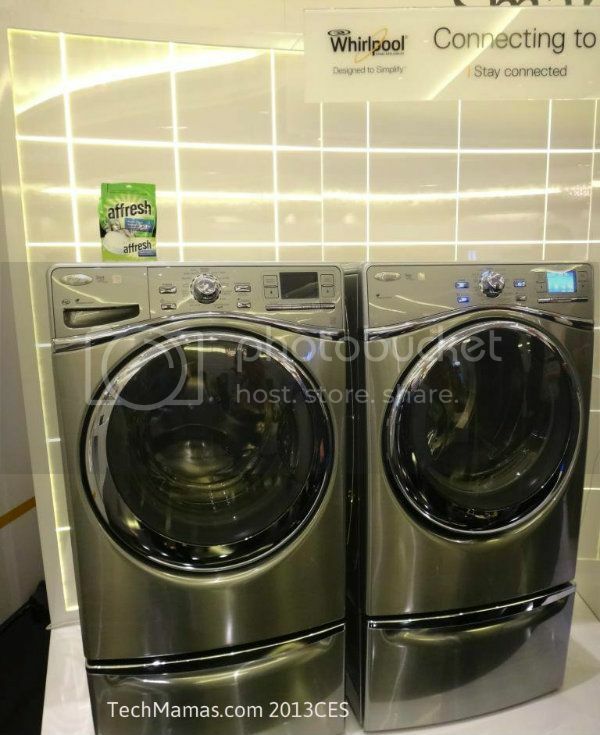 Fresh Connect from Whirlpool would allow me to reorganize the way I store and shop for food by grouping foods that need to be stored in similar temperatures together and automating my shopping with mobile apps and home delivery to my front door. Whirlpool Appliances with 6th Sense Live will allow me to manage my appliances remotely (such as a refrigerator’s temperature or when a wash cycle is done) and because it would be connected to the Smart Grid I could save energy costs by tracking my usage and remotely running wash cycles at “off peak” times. Two concepts adding new functions to appliances would be the Whirlpool Cool Vox that streams music or podcasts through the refrigerator directly from a Bluetooth-enabled device and The Fireplace concept that could turn the family kitchen table into a social “Fireplace” that also warms food or keeps it cool. 5. Home Information Automation: About One is an online tool/app that utilizes the existing calender and contacts to not only organize household information (inventory management, school info, medical info etc) but also offers “ reporting, alerts and private sharing”. 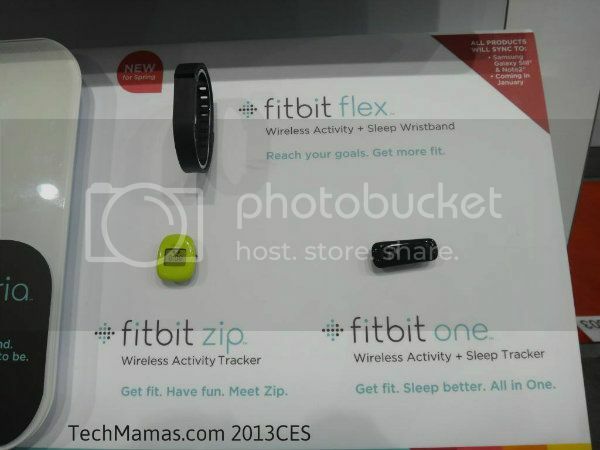 New announcements at CES 2013 include partnerships with Swagbucks for gamification real world rewards and Working Mother to “gather product feedback from Working Mother readers, who will then be alerted when their requested product updates have been implemented”. I miss being at CES with you. Next year in Vegas. Thanks so much for bringing the show into my living room!